"The Mercedes 200hp is an inline 6 cylinder, overhead camshaft engine of approximately 15000cc. This particular engine came to us fully assembled but with various external parts missing." The Vintage Aviator is overhauling it to airworthy standard for an American owner. 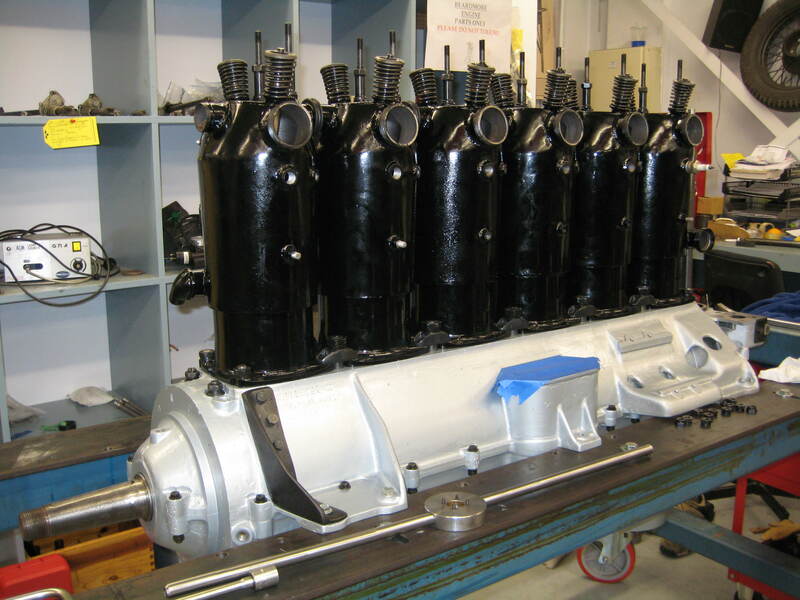 Before starting any work, each part was inspected to determine if it was serviceable, in the case of the crankshaft a complete magnuflux inspection was carried out. It was determined that the crankshaft was in excellent condition and would require only minor polishing and cleaning. To clean the sludge and ensure all debris were removed from the crankshaft oil galleries, all the plugs had to be removed. Removing the plugs on the crank was the easy part, making new plugs was slightly more difficult and making the tooling was an even bigger task. 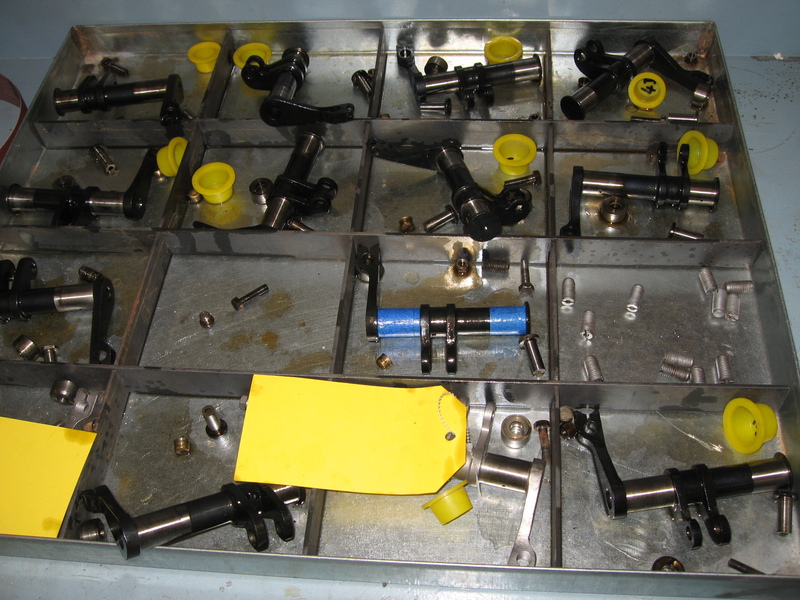 Several different sized plugs are utilized and tooling had to be made for each plug size so that new plugs could be fitted and seated properly in the freshly cleaned and polished crankshaft. The plain bearings were showing signs of delaminating and cracking, so it was decided to re-metal the bearings. These Babbit type white metal bearings were completely reconditioned. Photos were taken prior to melting out the old metal from the bearing shells so as to replicate the new bearings and the original hand finishing. Both the main and bigend bearings are pressure fed, the oil pump having two feeds one for the mains and one for the camshaft assembly. 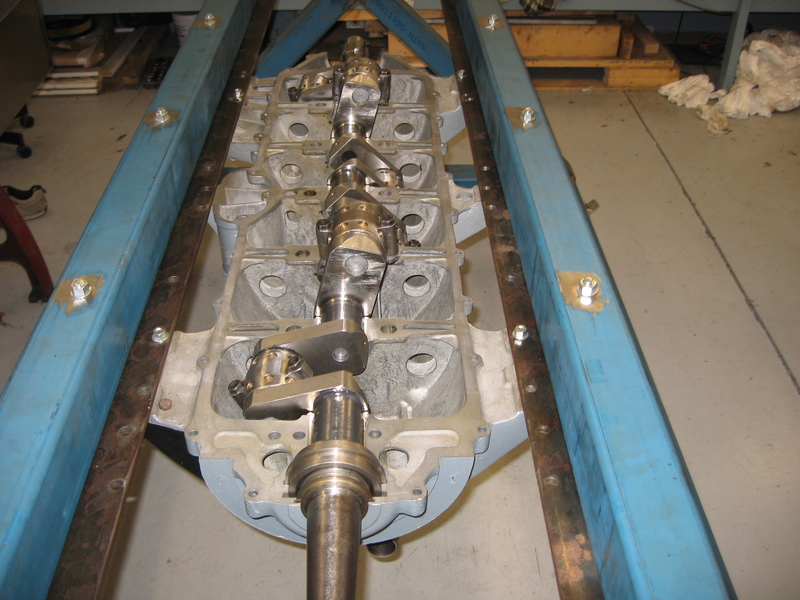 The oil pump was rebuilt and run on a test bench to check pressure and flow rate. 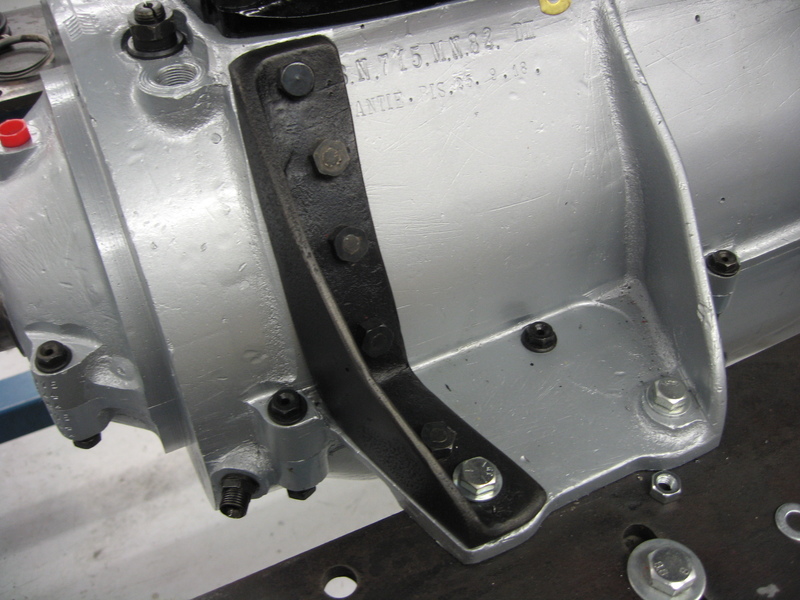 The aluminum crankcase was in good condition, other than needing some minor weld repairs. 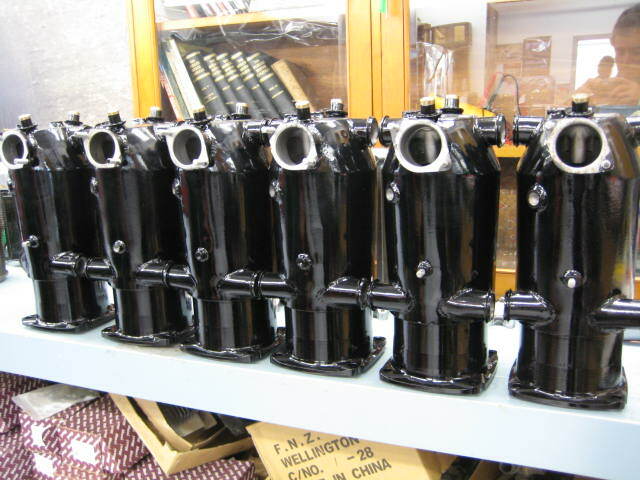 We cleaned the crankcase in our hot tank and then checked for cracks and other defects. Of interest was some original repair work done, probably as a result of battle damage. Once the crankcase was cleaned and painted the newly restored main bearings could be installed and line bored to fit the crankshaft. 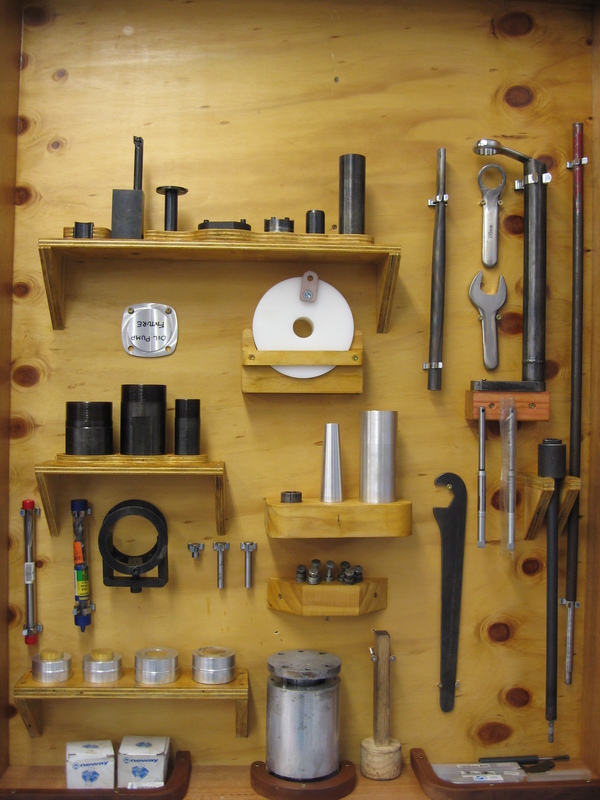 Many unique tools and specialized jigs were designed and manufactured to facilitate this work. 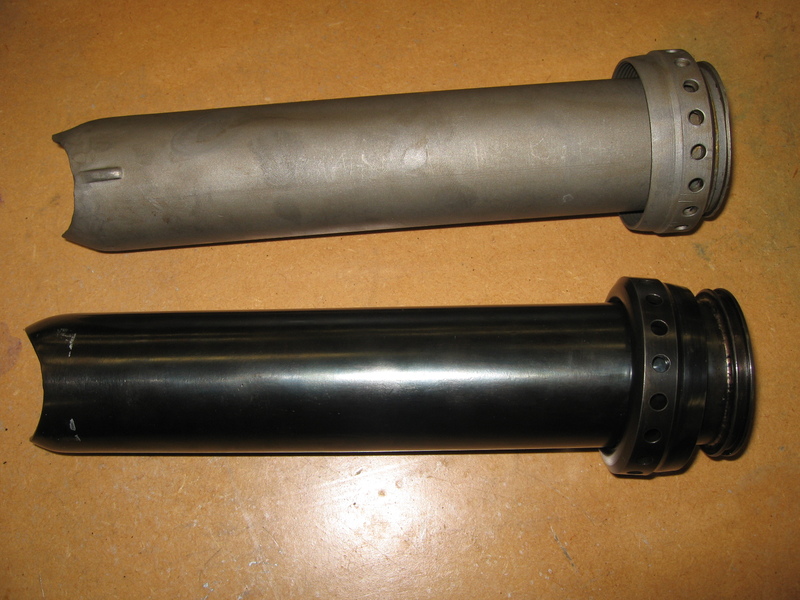 The cylinders are fabricated entirely of steel with the valve seat/port assembly being welded in position with pressed steel water jackets welded over top. The cylinders for this engine were also in relatively good shape, only requiring honing. The pistons are quite interesting in that they are of a two-piece construction having a steel crown screwed and welded into a cast iron skirt; these also were in good condition. The gudgeon pins and bushes were replaced with new items as the original pins had surface crazing; the gudgeon bushes are a floating fit in the conrod i.e. they are free to turn both in the conrod and on the pin. 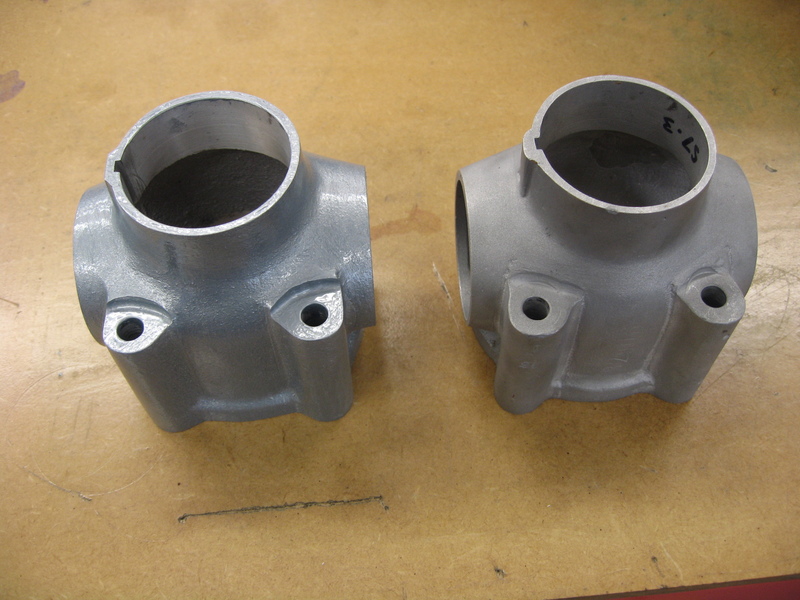 The valve guides were quite worn and new guides were made duplicating the originals. All the valves and valve seats were machined and valves lapped. 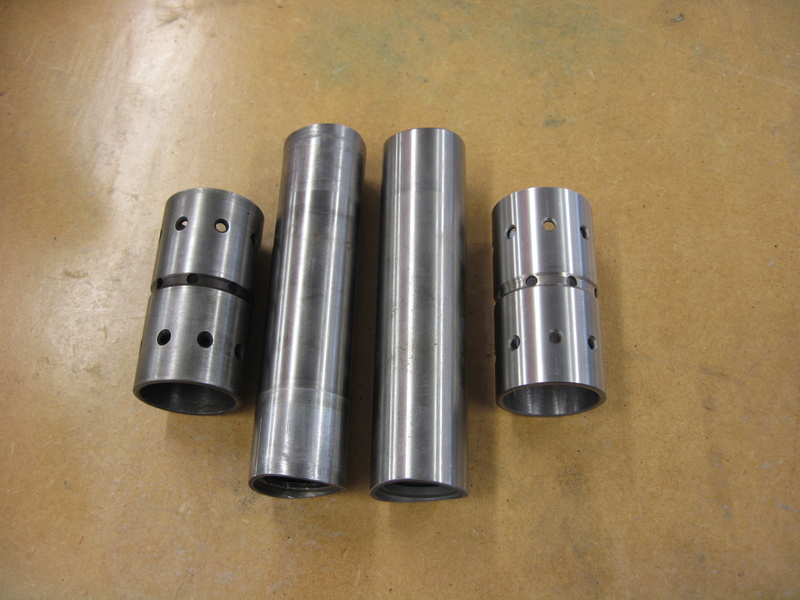 In regard to parts missing, a new cam drive tube, magneto drive housing and water pipe were made from dimensions taken off borrowed original parts. These parts are exact replacement parts and are not different from the original in any way, except being nearly ninety years newer! The magnetos were assembled from several partially complete units and tested on our test bench. Ignition leads have been fabricated from modern “period” style cotton braid covered wire. Spark plugs have been sourced and the engine is nearly ready to mount on our test stand. Any engine we intend to install in a flying plane undergoes either an acceptance test or test running program, this engine will be tested as well. During the restoration process a great deal was learned about early construction techniques and materials. Each part manufactured as a replacement part was completely digitally modeled and documented for future reference. 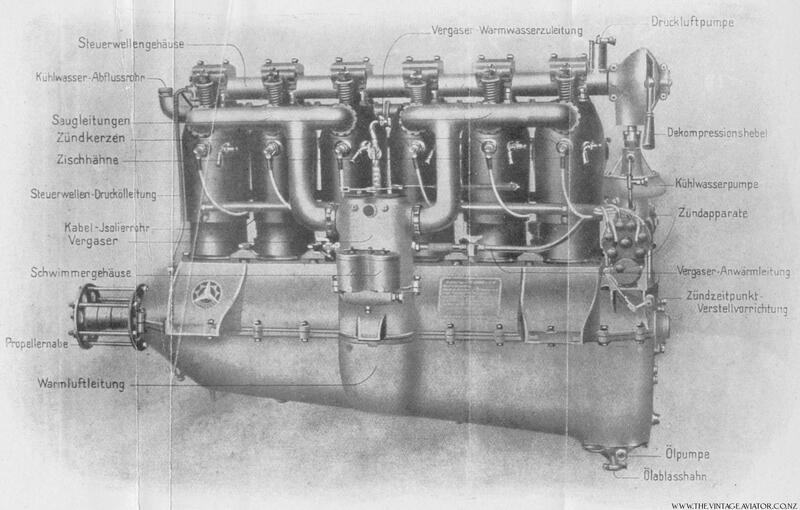 Many “consumable” parts were also made so that the engine could be supported for years to come. As part of this process we have made gaskets, intake and exhaust springs, piston rings, seals and many nuts, bolts, studs and specialized fasteners.